All Stevenson homes currently listed for sale in Stevenson as of 04/23/2019 are shown below. You can change the search criteria at any time by pressing the 'Change Search' button below. "Take the long meandering drive to gorgeous brick traditional with European flair. 2.9 +/- pastoral acres on coveted Stewart Road. Open, airy and crisp cooking space with wall of light. Connectivity to inviting great room with exposed antique beams. Divine dining area with stone fireplace that flows seamlessly to stone terrace with sweeping views. Understated & stylish. 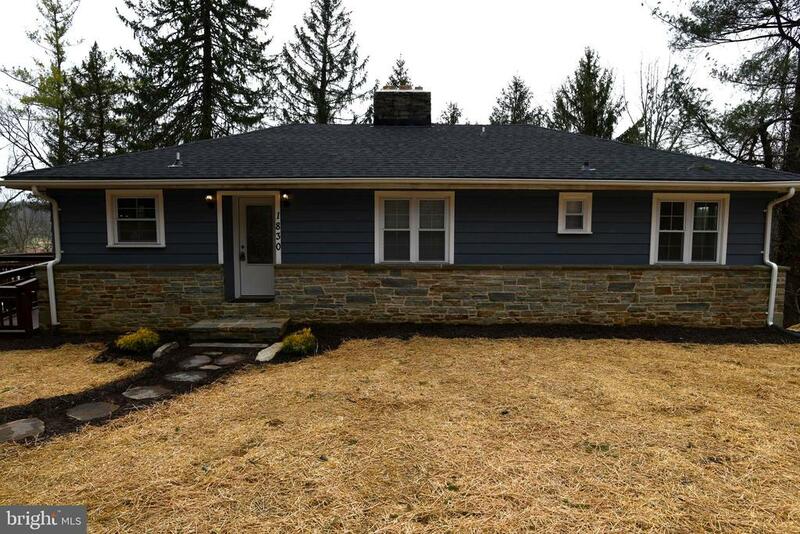 Embrace life in the heart of Greenspring Valley." "NEW PRICE! 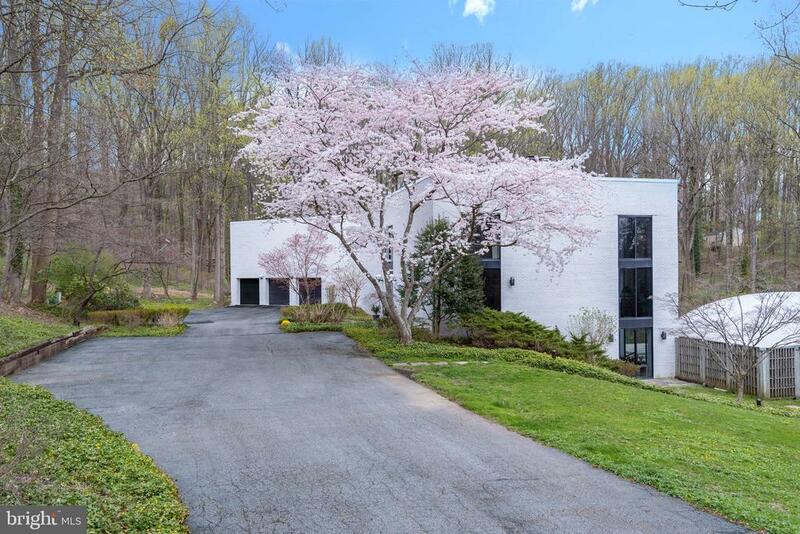 Opportunity to enjoy serene vacation-like living in prestigious Greenspring Valley, MD just 20 minutes from downtown Baltimore. This contemporary Stevenson home situated in a gorgeous rural setting is a gathering place for family and friends throughout the year. With living space of almost 6,000 sq. ft. (not including the large fully finished lower level), this one of a kind residence offers crisp, spacious, and sophisticated rooms with many floor- to-ceiling windows which provide dramatic and expansive views of Greenspring Valley. 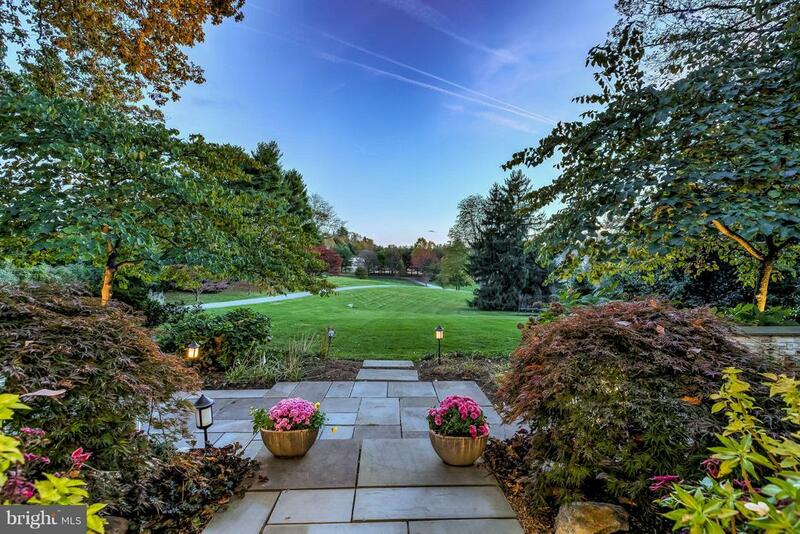 A natural meandering stream flows through the idyllic 5.4 acre property. Adjacent to the house is a beautiful custom designed spa with a pool that, with a custom 12-foot high removable dome, is easily used for recreation and exercise throughout the year. The open floor plan is perfect for intimate and large gatherings and offers generous sized rooms with ample wall space for art. The main level has a stunning and large gourmet kitchen with a lovely breakfast area and deck. A family room off of the kitchen and formal dining area with shared gas fireplace are additional areas perfect for entertaining. The main level of the home is further enhanced with a living room having a vast 17-foot ceiling as well as a cozy den with wood-burning fireplace. The main level is completed by a welcoming foyer, two powder rooms, a large windowed laundry room, and a mud area with generous closets leading to a three-car garage with a large storage area. The second level includes the master suite overlooking the pool, valley, and rising sun where privacy affords the option of not using the blinds. The second and third bedrooms, that share a Jack and Jill full bath, have stylish custom built-in desks with lighting and shelves. The fourth bedroom with an en-suite full bath,features a gracious balcony with breath-taking views. Adding to the elegant functionality of the second level is a beautifully designed office and sitting area with seven large wind"
"THIS IS THE ONE! 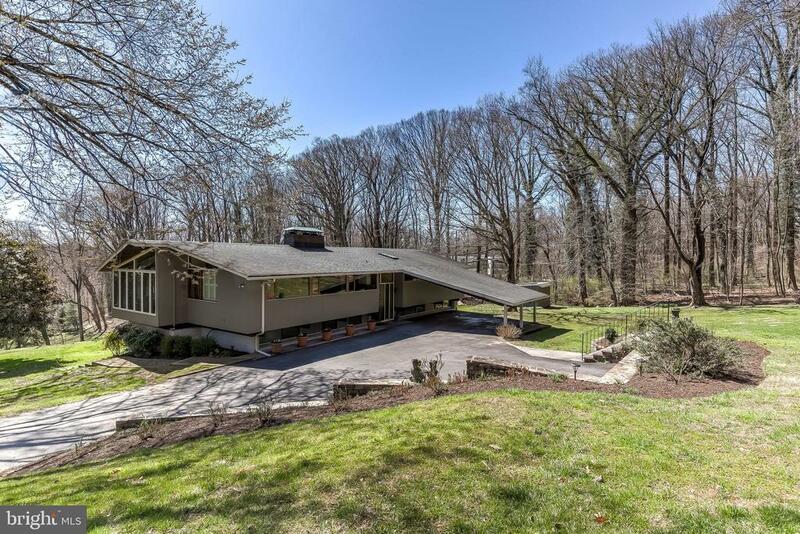 TERRIFIC MID-CENTURY DECK HOME SITUATED ON A STUNNING 3+/- ACRE SITE. INCREDIBLE, ORIGINAL DESIGN COUPLED WITH THOUGHTFUL UPDATES-WOOD PLANKED AND BEAMED CEILINGS (VAULTED ON THE MAIN LEVEL)AND HARDWOOD FLOORING THROUGHOUT-LR WITH RAISED HEARTH FIREPLACE, BUILT-INS AND A WALL OF SLIDERS TO THE DECK THAT TAKES FULL ADVANTAGE OF THE VIEW-MODERN KITCHEN (2012) WITH KITCHEN AID STAINLESS STEEL APPLIANCES, GRANITE COUNTER TOPS, WALL OF GLASS FRONT CABINETS, EXPOSED BRICK WALL, AND OPEN TO THE DINING ROOM-DEN THAT FEELS LIKE A SUNROOM WITH HUGE WINDOWS-MASTER SUITE WITH THREE CUSTOM CLOSETS, SITTING ROOM AND FULL CERAMIC BATH- ADDITIONAL BEDROOM AND BATH ON THE MAIN LEVEL-DAYLIGHT LOWER LEVEL TAKES FULL ADVANTAGE OF THE VIEW AS WELL - FAMILY ROOM WITH RAISED HEARTH FIREPLACE, CUSTOM BUILT-INS AND SLIDER TO THE BRICK PATIO-BEDROOM #3 WITH A CUSTOM CLOSET- BEDROOM #4-BONUS ROOM CONVERTED TO A CUSTOM WALK-IN CLOSET-HUGE LAUNDRY/MECHANICAL/STORAGE ROOM THAT OPENS TO GRADE. TRUE IMPROVED LIVING SPACE IS OVER 3000 SF. PROPERTY ACTUALLY CONTAINS 2 SEPARATELY DEEDED LOTS - 1.62 ACRE (HOUSE LOT) AND 1.42 (ADDITIONAL LOT). SUCH A SPECIAL OPPORTUNITY - CONVENIENT TO EVERYTHING, BUT SO QUIET! ITS LIKE LIVING INSIDE A PERFECT VACATION RETREAT! 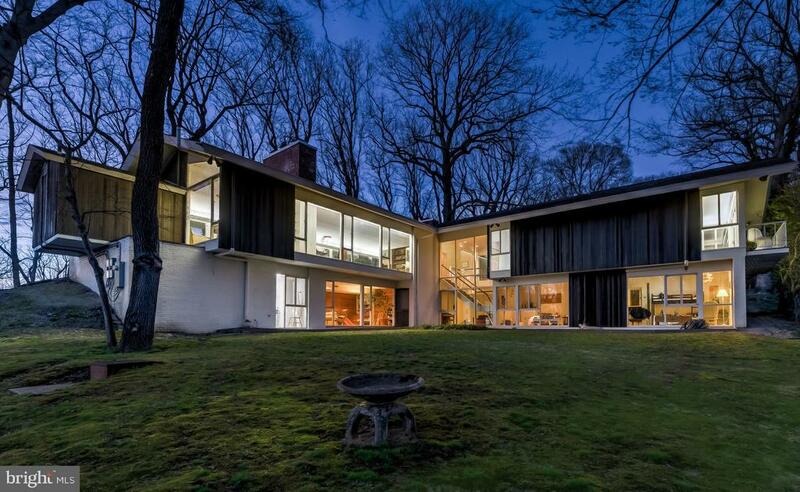 BROKERS OPEN 4/10/19, 1-3:00"
"Stellar 1950's mid-century cedar and glass masterpiece by Charles Nes in the heart of Greenspring Valley. A coveted classic. Natural light abounds. Magnificent walls of windows with panoramic valley views in the distance from your expansive terrace. Timeless lines and proportions that simply make you feel good. Sited with incredible sensitivity to sunrise and sunset that enhances your daily existence. Inviting first floor suite with peaceful woodland views & private balcony. Zippy access to everywhere you want to be." "Come out to see this beautifully renovated home in the heart of the Stevenson Community. It is 3 bedroom and 2 bath beauty. This home has all of the bells and whistles to include a generous living space with stylish finishes, recessed lighting, large windows to bring in plenty of natural light, sparkling hardwood flooring and cedar closets. The fully finished and spacious lower level Family room is great for entertaining. Enjoy two wood burning fireplaces. Kitchen boasts granite counter tops, stainless steel appliances and modern cabinets. Newly added sliding patio doors to a huge private deck overlooking lovely back yard. Your family will enjoy this perfect setting that invites comfort and a relaxing atmosphere." "please see disclosures; septic system is failing. Price reflects the need for a new system. Seller will not make repairs."